Welcome to SCOOTER HIGHWAY.com, your #1 online source for the best name brands in Scooters, Mopeds & Motorcycles, Helmets, Gear, Tires, Parts and Everything for Scooters, Sportbikes & Cruisers. We are a 100% American Owned Company. -GET up to 70% OFF ORIGINAL PRICES! Lancer Heritage 2-tone 150cc Vintage Looks Scooter! Fast Delivery! FREE Helmet! 1. CUSTOMER SERVICE and QUALITY IS OUR # 1 PRIORTY! 2. A TOP RANKED MEMBER OF BUY SAFE! 3. GUARANTEED LOWEST PRICE, JUST CALL US AT 877-667-6289!! 4. ALL ORDERS GET FAST SHIPPING! 5. WE HAVE PARTS FOR EVERYTHING WE SELL! 6. LIFETIME TECH SUPPORT FROM OUR CERTIFIED TECHS! 7. BUY FROM THE GUYS THAT HAVE BEEN AROUND THE LONGEST, 32 YEARS! Visit our Motor Sports Blog. Our experts are ready to answer your questions and help you find the best vehicle for your needs. Our service department is the best in the country. We service and supply parts for EVERYTHING we sell. 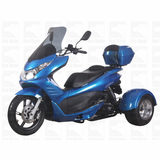 We Guarantee that we have the Lowest Price on all of our Scooters, Mopeds, Trikes & Motorcycles. Find a lower price, we'll BEAT it. We also offer FAST DELIVERY. Why spend thousands of dollars on a souped-up Honda when the same options are available for a fraction of the price? 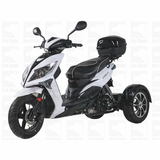 Our fast shipping and extended warranty options make buying from Scooter Highway the clear choice for quality, high performance Mopeds, Trikes, Scooters & Motorcycles. By purchasing any items online (this website) or off-line (via phone or in person), I, as buyer, acknowledge and agree to be above 18 years of age. 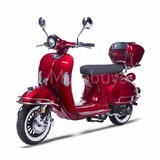 Buyer understands and agrees that what is posted in writing on this site are the only descriptions and features Scooter Highway.com claims or offers on any vehicle for sale on this site. Buyer acknowledges to have read and understands the terms and conditions of sale, vehicle listing, description, tech information and features, and by purchasing any vehicle online (this website) or off-line (via phone or in person) has been been informed via the written listing on this site of the vehicles features, description as well as terms and conditions of sale and return policy. 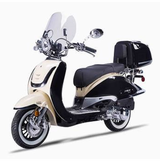 Scooter Highway.com reserves the right to change or delete vehicle as well as gear (accessories) listings. Scooter Highway.com reserves the right to change feature listings without notice and to ship the new item models without notice as models change. Prices, specifications, and images are subject to change without notice. Buyer acknowledges and agrees that Scooter Highway.com is not responsible for listed features, typographical or illustrative errors. Copyright & copy; 2011 ScooterHighway.com All Rights Reserved. ©2010 Conditions of Use - Prices, specifications, and images are subject to change without notice. Not responsible for typographical or illustrative errors.